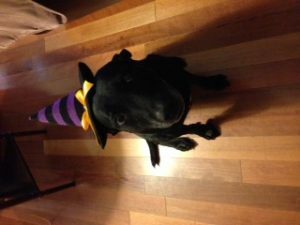 Diane Kelly » K9 and Kitty Costume Contest! 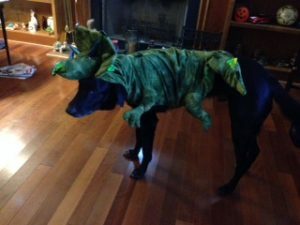 K9 and Kitty Costume Contest! 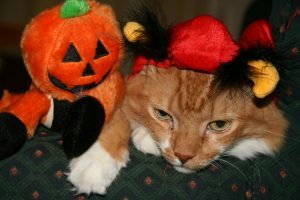 It’s now October, and time for the K9 (and kitty!) costume contest! 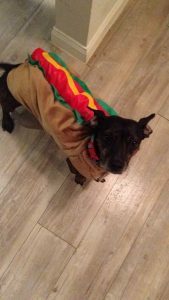 To enter, email me at diane@dianekelly.com with a photo of your pet in costume, along with the pet’s name and your mailing address. Pics will be posted here on my website, on my Twitter account, and on my Facebook pages. 5 winners will be chosen at random at 6:00 central time on Halloween! Winners will receive an advanced reading copy of Above the Paw, book #5 in my Paw Enforcement series, plus some swag. Good luck! Here’s our first adorable photo! 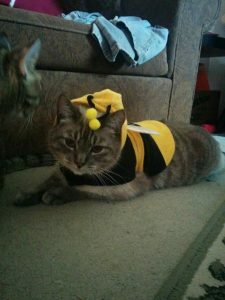 This bumble bee is actually a cat named Askum. What a cutie! I’m all abuzz! 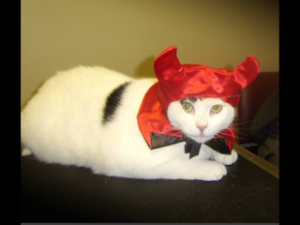 Fiona is quite a charming little devil, isn’t she? 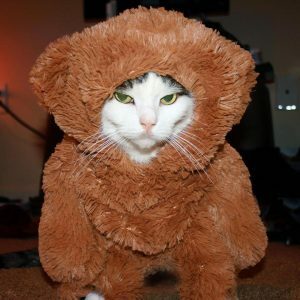 And here’s Phillip dressed as a Kitty Bear! Or is he a Teddy Cat? 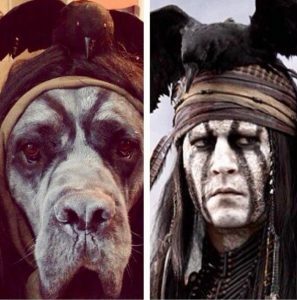 Either way, he’s adorable! Brownie likes to show off her buns! er, bun! Cute as a bug in a rug! 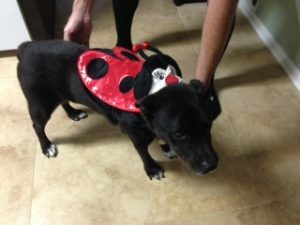 Lady is perfect as a little ladybug! 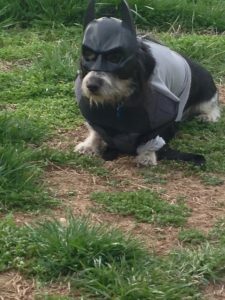 It’s Batdog! 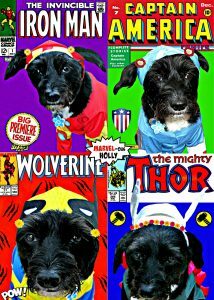 A terror-fighting terrier! 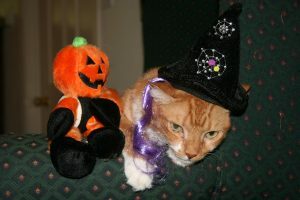 Good witch or bad witch? I’m going with good witch! 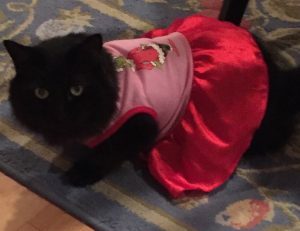 Here’s the lovely Lola dressed as Cindy Lou Who from the Grinch! I hope he doesn’t steal her jing tinglers! 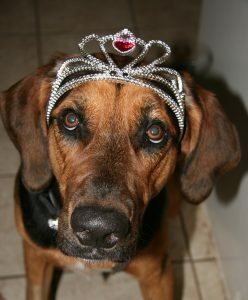 This little pumpkin-head and her doggie princess cohort are the fur babies of author Christie Craig. 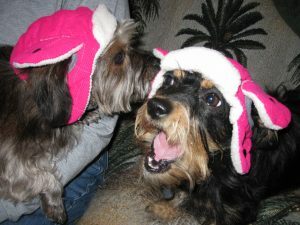 Such cuties! 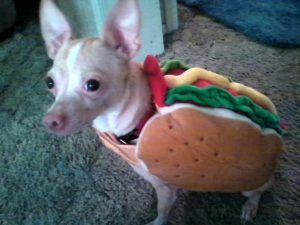 Here’s Snoopy looking adorable in a ketchup and mustard ensemble! 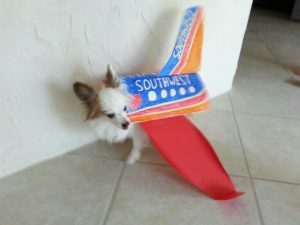 Princess looks first class in her airplane outfit! This lovely lady is Cress! 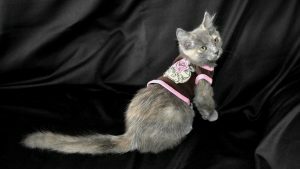 She was adopted by a wonderful reader after she and her siblings were abandoned. I have the best readers! 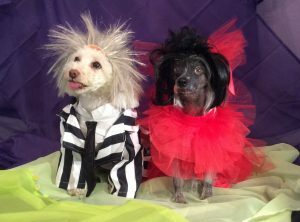 Here’s Pookie as Beetlejuice and Lady Deets as Cruella De Vil! 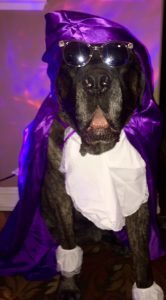 Stanley Cup (a 200-pound Mastiff!) 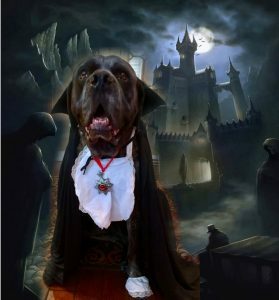 looks great as Dracula, Tonto, and Prince (may he RIP)! 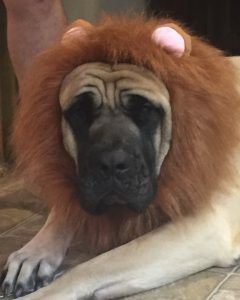 Here’s George the Lion! He’d be right at home in Narnia or Oz! 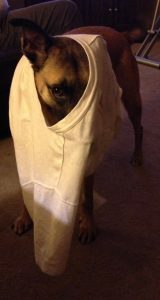 Holly wasn’t so sure about this ghost costume . 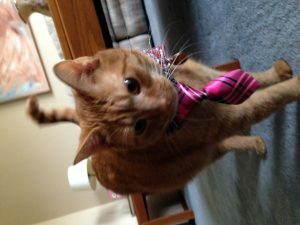 . . What a cutie! The force is strong with this one! 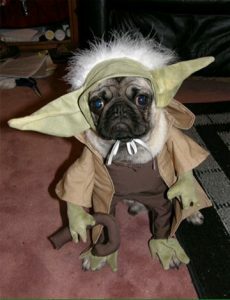 This is Oscar as Yoda.